GHAZALI has said in his Alchemy of Happiness that the spiritual path is like shooting an arrow into the dark. You cannot know where it will fall or what it will strike. You are going along blindly, not knowing what you really seek or what you have achieved so far. There is only one commendable procedure; and so if your walk along the spiritual path makes you better able to manage your thoughts, and makes you stronger on your feet, you will be able to realize all that can be accomplished by patience and by hope. If you only paid attention to this all your life long and watched what you did, you would see your own progress, and what an encouragement it would be! There are people who keep complaining that nothing is ever manifested to them on their spiritual path – no forms, no ghosts, no colors, no voices, no word. But even if such a person had experienced manifestations of this kind they would have been no help to him; however, he is discouraged because he has not received any. The teacher he would like to have might easily lead him astray from the path, simply because he is aiming at things that do not matter, and a real teacher will not encourage him to seek such things. The words, 'no, it does not matter' form a sort of principle to adopt in life. Of course there are things which obviously do matter. It matters a great deal if you do not follow your ideal, if you have made a slip of the tongue, or any other shortcoming. But it does not matter if somebody else is not following the same ideal as you; you cannot alter his plan of life, nor his opinions, and so they cannot matter to you. The Sufi's way is to seek unity and not get lost in variety. People can take up philosophy, theosophy, and all the rest if they wish, but these are not the concern of the Sufi. He will let those people be. His path is the direct path towards unity, and his is the path of balance. If a person compares two pictures and calls the one good and the other poor, let him be. It does not help if the fire in his ego-faculty is aroused. Some day he will see. The spiritual path may be natural, and it may be unnatural. When man attaches his thought and mind to the external world he comes to partake of earth rather than heaven, of matter rather than of spirit. By partaking of the qualities and habits and limitations of matter he forgets all the qualities of spirit. Whatever qualities he partakes of, those qualities draw man to the substance to which they belong, and such a man is therefore drawn more to earth than to heaven as he proceeds. Such people would rather not go to heaven but would prefer to stay on earth in spite of all the struggles, difficulties and illnesses that belong to life on earth. Man is so attached to it! He does not know the joy and peace and pleasure and happiness and comfort of the other side, for he has had no experience of spirit whatsoever. All the same there are people who feel a kind of a call from the spirit, and yet they are attached to the objective world in so many ways. It is as if they are so intimately woven into the web of this world that it is very difficult for them to get away from it. For every step that a man takes towards heaven he is drawn backward ten steps to the earth. Whoever sets out on this path is therefore in constant warfare. He has to encounter opposition from his relatives, from his friends and acquaintances; he gets into trouble with those who misunderstand his aims; they misuse him; they misjudge him and blame him for doing things and thinking in a manner which they believe to be unjustified. Think of Christ, whose thoughts were so contrary to the religious thoughts of his time. How difficult to pass from the thought of an ordinary person to the thought of Christ! What difficulties there are to face! But once you fight these difficulties, and the further you advance, the more you are drawn to the spirit by the spirit. This goes on up to a certain limit, and all this time the difficulties are very great, but once you reach the limit everything becomes easy. If only the will power is in control it will overcome the inertia. Dervishes sometimes do humorous things. There is a story about a certain dervish sitting in the shade of a tree, who was always very kind and helpful to those who came to see him. But one day a young man, a soldier, was passing by, and he said something to the dervish, which made him very cross. So they had a few words. Thereupon the soldier began to bully him and give him blows on his back and neck, without the dervish making any protest. The soldier then went on his way. A wise man sitting near by was thinking to himself, 'What a funny thing, for this dervish is always good and kind and hospitable, so why should this soldier be so angry as to punch him and hit him all over?' So he watched attentively and noticed the dervish saying, ' Is it enough, or do you want some more?' The man wondered why the dervish said this, but the explanation is that the ego always wants feeding, and the more you feed it the more energy it has. What are you feeding it with? You feed it with your inclinations, by getting praise from people or attentions, benefits, help, or love. Whether these come justly or through injustice, rightfully or not, this ego is never satisfied; it keeps on wanting attention. As a result it begins to rule over the higher faculties of inspirational and spiritual power, of wisdom, reason, and justice – all the beautiful qualities. This Nafs or ego or Satan (for the ego is Satan) governs all these faculties, and a man cannot become saintly until he has crushed it; there is no other way whatever than this. The saintly personality cannot come into being until all this is achieved. But how can you walk along this path in the course of your practical life, with all the responsibilities inherent in the life of the world? The servants take advantage of a saintly person; selfish people and those who are blind to justice take every advantage of a person who behaves kindly and considerately and helpfully towards others! Well, the answer is simple. This development is really for yourself, and once you have attained it the course of action is in your hands. For example, suppose you are taking the part of a king on the stage and your part calls on you to become angry with a servant, you do not really become angry. You just play the part of a king who is cross. Thus you can be cross without being actually angry. 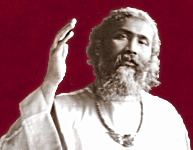 This is what happens in the development of a saintly personality. When once the Nafs is crushed you will never find it necessary to be angry any more, though you can act the part of one who is angry and pretend to be angry. So if it is necessary to show anger this does not mean the fire of hell for you as it would be for others, for you are only using an instrument, and that instrument is not your master. In the same way you are justified in whatever course you find before you in life, as long as you really have freed yourself form control by the Nafs. This shows how a person can even fight and yet keep control over his anger and pain. As long as he is the master he can be blamed for nothing. But that is just the question: to be the master! Suppose a person is angry and you get cross with him too. It may bring a certain satisfaction to give an outlet to that anger at the moment, but if only you would discover the joy of being able to smile when the other person is cross, what a difference from the satisfaction one derives from the other act! The joy is so much greater because you keep control: it is just like not adding more fuel to a fire. The best way to control sudden outbursts of emotion is by developing the habit of exercising the will power suddenly, promptly. If you return anger or jealousy or hatred or prejudice or any other bitterness, you only keep the flame of that emotion alight. It is just the same as when one keeps love alive in another's heart by adding a little affection and love all the time. If you withhold it, it will die, for there is nothing to stimulate it. When a person is always offended, or when he dislikes this or that, he is keeping the fire going, whereas once you pass it by and smile you raise yourself above it and it will die out, for then it has no more food to live on. 'Resist not evil', the scripture says. When there is resistance to evil in the other person do not become angry with him. When you foster the same emotion you add to his, and you increase the same fire in yourself. It is like infecting yourself with a contagious disease instead of curing it. Anger and bitterness will die out in time. There was a small group of people in London who were working along spiritual lines. They felt a sort of rivalry against my little society, and they began to try to do us harm by telling stories against us and by setting others against us. My helpers came to tell me how we were being damaged in this way and asked if they should not do something to stop this. But I answered, 'the best way to treat this is with indifference. Take no notice.' And when they insisted that these doings would do us great harm I said, 'Not at all. The only harm it could do would be if we allowed this harm to enter our circle. Let them do as they like and let us go on doing what we are doing!' As the years went by they never heard us say a word against them; on the contrary, we welcomed them, we helped them, we served them in whatever way we could. In time this resistance completely vanished. We have been going forward, and they still stand where they were. Just a little indifference was enough! You cannot expect all people to be just. When they are children, how can we expect them to behave as grown-ups? You can not expect all kinds of fruit to ripen at once; it takes time, but in time they will all become sweet. So wait patiently, and it will become plain to them in time. Why blame others when they are not up to your ideal? How can a disagreeable person be agreeable if his evolution prevents him from being otherwise and wisdom does not permit him to act differently? Help him in whatever way you can, without expecting him to be different. Why should you ruin your own life over it? Your own life is very precious. When you do not worry about others, or judge them, you can mediate, think, be silent, and at the same time be serviceable to the world. There is plenty in our own selves to judge; enough to keep us fully occupied all our life long! Jesus Christ said, 'My fathers house has many mansions.' By these are meant places of being, paths of attainment, roads to travel on. Once you are on the real road you will keep on learning every moment of your life, not only during your sleep in dreams, but at any time. An owl cannot see in the daytime; it is during the night that he learns things. But this is only a partial inspiration; the mystic gains experience in every aspect of life, when eating, sitting, walking, in all actions. All these are channels of learning. The real road is to be followed at all times, and it is the one who has seen the Master who is really the one being taught. Once you have linked yourself with love, a flood of inspiration is revealed to you, whatever the subject, whatever the problem in life may be. Whatever it be that your eye casts its glance upon, it will disclose itself. Then you are on the real road, and what a joy this is! The Nizam wrote this verse, 'The width of the land and the water cannot be compared with the width of man's heart. If man's heart is wide enough there is nothing greater than that.' The heart becomes wide by forgetting the self, and narrow by thinking of the self and by pitying one's self. To gain a wide and broad heart you must have something before you to look upon and to rest your intelligence upon, and that something is the God-ideal. This is the prescription for killing the self, and to kill the self is the basis of every religion. Then, keeping your self before your consciousness, and by resting your consciousness on God, God who is unlimited will come to you; and thus your knowledge and your powers will become unlimited also.